September 13, 2008 - Well we'd planned on taking the day off on Tuesday for the Fair, and we had a GREAT time as a family! Justin stayed the night at Grandma's and didn't get back home until after lunch on Wednesday, then spent the day recovering from the lack of sleep. :) Thursday we did our monthly Meals on Wheels delivery (yep, this is new, it's our second month) and then went out to Preston to check out Homeschool Haven, a local support/play group for homeschool families. It was sunny so nearly everyone stayed outside on the big lawn, though the group has use of a good-sized building with room for running around as well as tables for sitting and doing projects. The people I met there were GREAT and I was really happy we came. Justin jumped right in playing badminton with some kids and tossing a big frisbee around. There was a mom friend of mine there, too - I had forgotten that she sometimes attends that group. Evan had a pretty good time, too, but he was getting super hungry before too long, and Mama hadn't packed lunch so he was asking to leave after an hour or so. I was also hungry and asked Justin if he was ready to go, but he most certainly wasn't ready when his brother was so we ended up staying another hour. Justin was having a blast and it was hard to talk him into leaving! I was really, really happy about all of this, and I definitely plan to start attending each Thursday. 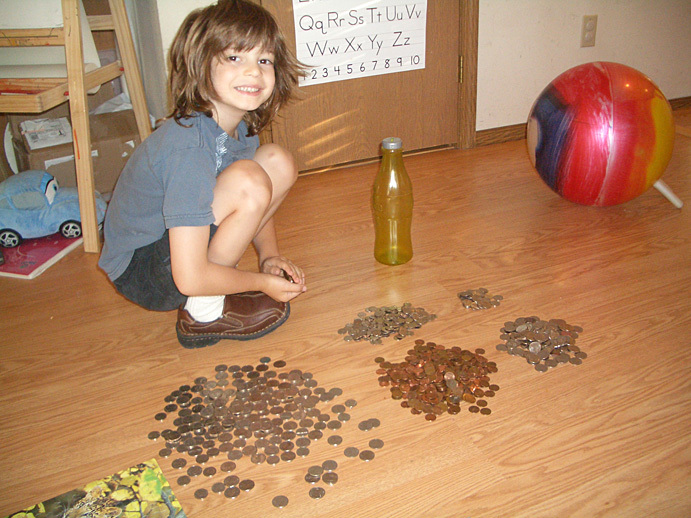 This photo is Justin sorting coins at some point over the weekend. September 8, 2008 - Over the weekend Justin had been reading MTH #5 on his own (and some of it aloud to Grandpa on the drive to the Huskies game!) and I read the rest of it to him today. We talked about the days of the week which he can sing in order thanks to a toy on the refrigerator but which I'm not convinced he truly understands. I had some pre-printed strips cut out, one for each day of the week, and I was going to have him glue them onto a big poster we could hang up. As I was helping him lay the pieces out, he decided he wanted to WRITE the days of the week onto the poster himself instead! (I tried not to explode with delight at his voluntary WRITING, but YAY! :) It was lunchtime by then so he was tired of it before he was half done, so we'll work on it more on another day. His Young Scientists Club kit today was about weather, and Justin learned what a Meteorologist is. We made a wind vane and observed the direction of today's wind, a thermometer which didn't really work, and a barometer which we'll observe over the next several days. 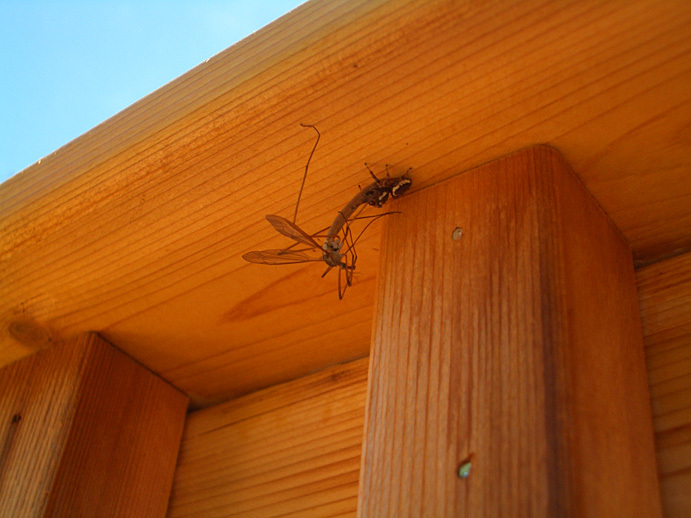 While outside watching the wind vane, Justin spotted some "critters" under the deck railing - a black and white spider feasting on a crane fly which must have been four times his size. We revisited telling time again today after last week's mess. I had found a website which went through and described the parts of a clock face and we sat and went through some of it together until he got tired of it. We'll look at it again on Wednesday. After lunch and a walk to the playground, we came home to find my order from Rainbow Resources had arrived! I got a phonics book we'll try out from the Explode the Code series (he'd used the primer books for the series last year) and a whole bunch of fun art stuff: tempera paint (to replace some nearly empty colors we have), new paintbrushes, these cool sponge wands which have watercolor paint built right in so you just dip them in water, liquid watercolors, watercolor paper, and drawing paper. Evan was involved in a puzzle and I'd been thinking of him with the watercolor wands but Justin was eager to try them out so he did, and they are way cool! While he was doing that, I tried the liquid watercolor and it is AWESOME. You can water them down or use them straight; the colors are vibrant and wonderful. 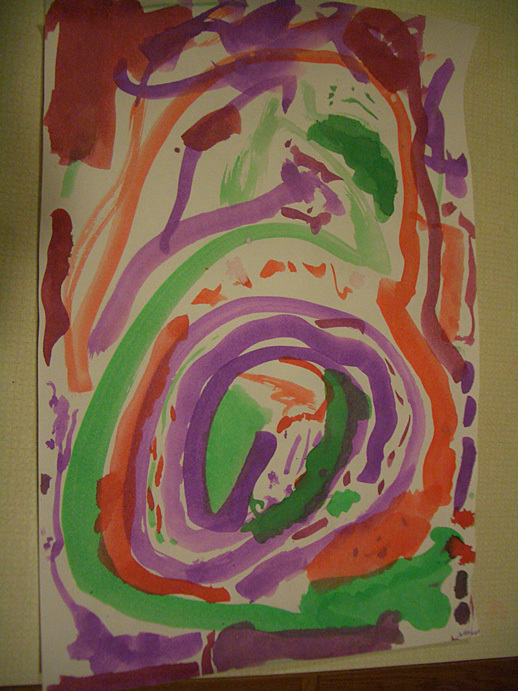 Justin spent a while working on a painting using the liquid watercolors, then we headed out for swimming. Tomorrow we're headed to Do the Puyallup and then Justin is having his very first sleepover - at Grandma Redl's house! Observing the homemade thermometer...which didn't work, plus the cool spider and his dinner. September 4, 2008 - Today turned out to be a *great* day. Though he didn't really want to, Justin agreed to go through the Mummies book a bit more today. Then I read all of book #4 in the MTH series which was a journey to the time of pirates! He was tired of sitting at that point so I didn't push the nonfiction accompanying book, and we went to the MTH website to answer the questions for the travel stamps for books #3 and 4, which Justin cut out and glued into his passport. We logged today's weather for his science workbook, and talked a little more about thermometers. 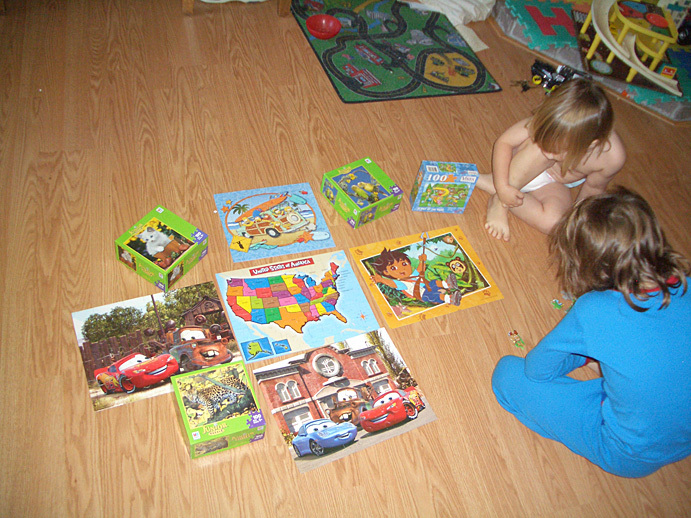 I had planned to introduce him to Russia but the boys started spontaneously doing a big bunch of puzzles in the middle of the floor - too cool! Evan is really good at puzzles but of course Justin is much quicker on the easier ones so Ev was more of a "helper" for much of it but he didn't mind at all. They played together like that for the better part of an hour. I had promised we'd go out to lunch so we left in the middle of their 5th puzzle because I was starving and Evan was tired of puzzles. I had to get an emissions test for my car so we drove up to Renton and did that after we had eaten, then went and played at a playground we'd never been to before. It was really warm today and there were lots of trees by this playground so I was able to park in shade, woo! The boys had fun on the play equipment and then somehow we started a game where I was the restaurant customer and each of them would bring me food, one item at a time. There was a short (maybe 2') wall thing around most of the play equipment area which I was sitting on, and they'd walk along the wall to either end to their "kitchens" and come back with whatever delicacy they thought I'd enjoy, and then go back and get something else, over and over again. It was super cute! This went on for at least a half an hour. We stopped for a bathroom break and cold drinks on the way home and had dinner. Tomorrow I'll take them to Seattle Childrens Museum; we have a pass and haven't been there in a long time. September 3, 2008 - Daddy was late leaving for work today so it was pretty crazy and distracting in the morning, so I didn't try to make Justin focus starting right at 10 like I plan to on most days. 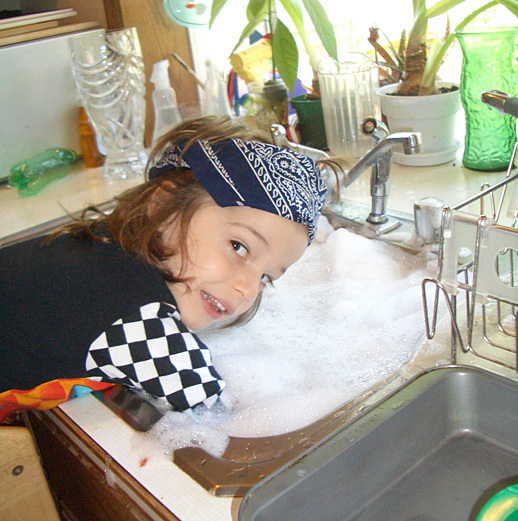 Once he was gone, the boys were pretty involved in the train tracks so I let them play and unloaded the dishwasher. Justin asked to do Elephant Toothpaste AGAIN so I obliged, and that led to both of them playing in the sink full of soapy water for quite a while. 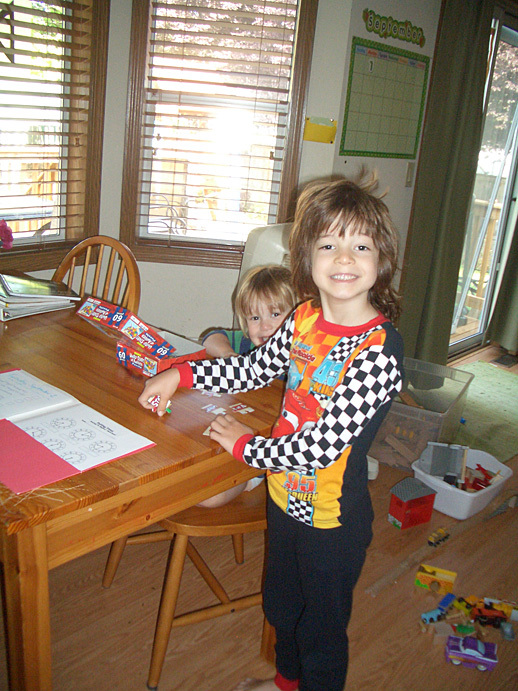 After I got the floor dried and both of them out of their wet PJs, we finally "started school" at noon. I am really NOT a stickler for schedules, but it is so sunny today I didn't want to sit inside longer than we needed to, but it turned out okay. For Science we went through a few pages in a little workbook thing about weather. It showed how to read a thermometer and used pictures of children dressed in appropriate clothing for each temperature, which I thought was cool. He journalled his daily thought ("I want to do a puzzle with my mama") and we briefly looked through the Mummies nonfiction book that goes along with the Magic Treehouse book we finished before just reading books we had on the shelves. Justin read a few of the "baby books" aloud to Evan. We talked briefly about the state of the week - Arkansas - for his states book and Justin cut and glued pictures of their state flag and state bird into his book. He wasn't interested in looking at any online photos of things in Arkansas, unfortunately. I plan to also have a different country each month for us to study and I asked him to pick one - either one he's heard of, one that looks interesting on the wall map, or he could spin the globe and touch his finger down and we'd use that country. He looked at the wall map and said, "I want to do the BIGGEST one!" which I verified was Russia. I placed a few books on hold at the library for us about Russia, as well as a recording of "Peter and the Wolf" by Sergei Prokofiev, which I don't remember entirely except that it has multiple instruments playing different characters in the "story" which will be a cool way to merge Geography/culture with Fine Arts. NEW SCHOOL YEAR! September 2, 2008 - Well here we are, first grade! I set up a plan for the year including the scope of each subject I'd like to cover. Justin would like to learn some Spanish, and for Science he's expressed interest in learning about electricity, but aside from that my plan is all me, based on what I think he should know and on a few "standards" books and websites I found. We'll be doing Math and Language Arts (Reading, Handwriting, etc.) Monday through Thursday, Science Monday through Wednesday, Geography/History/Culture/Social Studies Tuesday and Wednesday, and one day each every week we'll do Spanish, Music, and Art. Fridays will be Field Trips and make-up day for anything we missed earlier in the week. He has swimming on Mondays and Wednesdays. There's a homeschool group in Preston we're going to check out which meets weekly on Thursdays, and a couple other options for weekly gatherings we're trying to decide on. We'll be having regular playdates with Brodie and Josiah (buddies from Moms Group, same ages as Justin and Evan and also homeschooling) as well as Ethan (younger brother of Liam who is in public school, also from Moms' Group) so that will be nice to continue that familiarity. When the weather gets cool and rainy, we'll go do something active a couple times/week, either at Open GYm at a gymnastics place we've been going to for a few years, the Family Fun Center, Chuck E Cheese, The Bouncy Place, etc. Just to establish a baseline for comparison later in the year, I'm making note here of his current level/abilities: He is reading chapter books now (the Magic Treehouse series is great!) so I believe his reading level to be around late second grade or possibly early third grade. He is a sight reader rather than a sounder-outer -- he tries the first letter of a new word, and usually says the last sound, but typically makes up what is in the middle. However, he has an amazing ability to retain larger words and remember them, so his reading vocabulary is quite large. His handwriting is pretty poor - he refuses to try small letters and uses only capitals, and still reverses quite a few of them. He won't practice any letters because he claims he already knows how to make them. I never pushed the printing practice, but instead encouraged him to write for practical reasons, like letters to Daddy which I would help him with. In doing that, he's great with sounding out basic words to determine their phonetic spellings. We've never studied "phonics" so he doesn't know all the vowel blends such as "au" like in "cause" which he would spell as "coz." At this point I think that is perfectly fine and age-appropriate (phonetic spelling of words) and given his resistance to writing just "to practice" AND his perfectionist tendency to get frustrated and give up when he doesn't get something correct the very first time (sorry for those genes, son), I would hate to add the pressure of correct spelling and create a real dislike and/or fear of writing at such an early age. He likes writing letters to Daddy and recently he sent one to his cousin Shanae which she replied to, and that was REALLY thrilling for him, so we'll definitely keep up the "handwriting practice" via sending letters in the mail. Sometimes he does ask me how something is spelled, and I do tell him if he asks, but typically I will just help him sound things out, and anyone would be able to understand what he was writing. He loves doing simple science projects and retains the scientific principles from them pretty well (i.e. water evaporates and then condenses, that's why there's water on the lid of the container of hot water). He has moderate interest in growing things (due mainly to near immersion thanks to gardening-crazed me, I'm sure!) and understands the life cycles of plants and that plants make oxygen which we breathe. He understands that we get nutrients from food via digestion and that our bodies need certain nutrients to survive. We've been receiving monthly science kits from Young Scientists Club since last Spring, and we'd gotten behind in doing them due to vacation, 4th of July, and other Summer busy stuff, so we'll be doing one each week for three weeks. This one was about magnets. Justin tested several objects to see if they were attracted to magnets, and learned about poles of magnets. 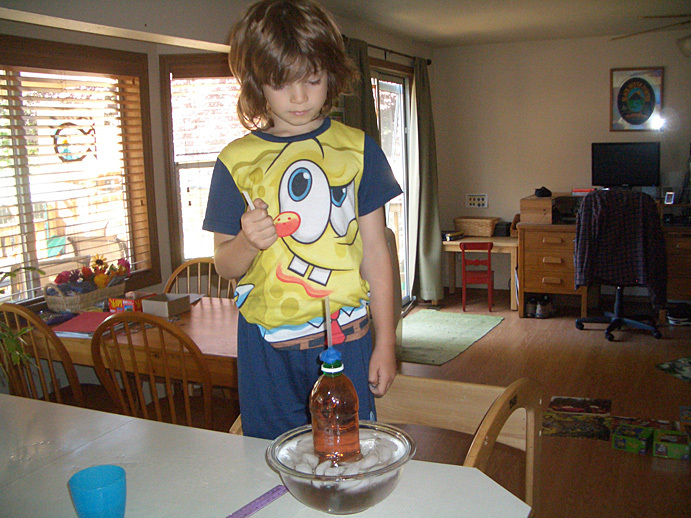 We also made a compass using a bar magnet and a bowl of water - cool stuff! I had started a science journal for him last year and we're going to continue using it. I did all of the writing, talking with him as I went along about what I should say for what we'd done. The only negative thing happened with reviewing telling time - our Math for the week. We had covered telling time to the hour, half hour, and 15/45 minutes last year, but it had been a while since he'd really practiced. He saw the little worksheets I had printed out and wanted to immediately do them. I told him I wanted to review first using my demo clock so he'd know what to do. He wasn't very interested in doing that and was doing some heavy eye-rolling, so I hurried through it. Of course when I finally agreed to let him try the worksheets with my help, he got really frustrated that he didn't know as much as he thought he did. He wasn't clear on using the existing visible numbers on the clock face for the hour and that the minutes weren't written there aside from little dots, which he had known several months ago. It was a little frustrating to have to backtrack right in the middle of the worksheet that he insisted on sticking with, and then he was totally irritated and DONE with telling time. We stopped and will revisit time later this week, but this time I will start from the VERY beginning as if he hasn't heard any of it before, and hopefully that will boost his confidence a little before we get into the new territory of 5 minute increments. Though we didn't spend as much time on the math as I'd planned, we were finished with everything by 12:30 - I'd planned to "do school" from 10-1 and then have lunch. We took a trip to Ikea which was fun, and then as I was making dinner, Justin asked to do Elephant Toothpaste again - an experiment he'd done before that leads to a big mound of foamy bubbles, which obviously made an impression on him sine it was in January that we did it! Overall, I am happy with how our day went. January 15, 2008 - okay, so consistent journalling isn't my forte; I get that now. :) Lately we've been pretty much completely unstructured, and just following Justin's lead on any given day. Some days that means we read a lot, some days we look up a lot of stuff on the web, some days we mostly paint and color and do crafts, some days we do some fun science experiments - whatever comes up. The science experiments in particular have really been cool, and Justin can't get enough of them. We started one day with an experiment I found online called Elephant Toothpaste. Both boys LOVED it and wanted to do it again and again. I started a Science Journal for Justin and though he's not willing to write in it himself, I've noted which experiments we did on which dates, listed the materials we used, and our/his observations. I tried to use his wording as much as possible for the observations, but I clarified some in my words for future reference. Eventually I know he'll do all this himself, but for now it's all me. We've done a dozen other experiemnts, too, including a few that didn't work at all (trying to grow sugar crystals on a string... the sugar solution got mold on top before it evaporated) and a few that were way cool. We turned pennies green with vinegar, colored some white carnations with food coloring in their water, checked out the different ink colors used in markers, made a "lava lamp" with oil, salt and water; made raisins "dance" in a jar of water w/baking soda and vinegar, and more that are in the journal but not in my head at the moment. We're certain that Justin has an affinity for numbers. He is starting to grasp the concept of subtraction as it relates to money/change which we do in Jr. Monopoly and which he was comprehending quite well the one night Chad and I let him stay up and play REAL Monopoly with us. I've played "store" with him a couple times since xmas when Evan got a cash register from Cathy and he thought the store thing was way cool - we used musical instruments as the things he was buying and I just taped on some prices, and eventually I'll set it up with food and later branch into coins/change after he really grasps whole dollar amounts. Also related to numbers, Chad is thrilled to see that Justin is now starting to be interested in building with Legos! He got a little kit for his b-day in June which makes an ambulance, and we didn't get around to trying it for several months. I did it with him the first time (it was MY first time building a Lego model with instructions, too!) and he was mostly quiet and observing. A few days later he wanted to take it apart and do it again, and to my surprise he nearly did the whole thing himself! John got him a couple more sets for xmas and these were for an older age group (8+, I think) and he quickly figured out the basics on the one that he and Chad did. While he's still not too thrilled about writing just for practicing letters and handwriting, he's starting to be more okay with writing on a few things like puzzle worksheets, crossword puzzles, and he even voluntarily wrote down his scores from an online game he was playing one day. He also wrote me a note one night on a little "for fun" workbook he was doing on his own at bedtime (we tell him he can stay in his room doing quiet things if he can't fall asleep; he was doing a little preschool workbook I got from Bartells or Target - circling matching pictures, etc.) which said something about... (ugh, I have to go find it and put down exactly what he wrote! )...he was telling me to look at the booklet since he'd done it all, and he put the book with the note outside his door on the floor for me to see. I intended to have him write letters to Daddy and Grandma and his cousins but I haven't sat him down to do that in a long time, and I'd like to see how he's doing with that now compared to when we did it several months ago in letters to Daddy. I still can't believe how quickly his reading has progressed. He is regularly reading to Evan (which is the cutest thing in the WORLD) and at bedtime he's reading books to us along with our regular reading to him. :) I get him the Easy/Beginner reader books at the library, and he flies right through the simplest ones (one simple sentence per page). It's funny, though, because I'll also grab just some general storybooks and he'll jump in and read the ones with short blurbs on each page, but on the ones with more than a couple paragraphs, he'll insist that he can't read it even if the vocabulary is at a level he can definitely read.  September 23, 2007 - This past week was pretty unstructured. The boys and I visited my parents Sunday and spent the night, and on our way back from there on Monday, we stopped in Olympia at the Hands-On Childrens Museum. It is a really cool place with a bunch of fun things to do for both boys. Justin's favorite area is the water table where you can put these barriers in place and channel the water to flow where you want it to. There are a ton of boats and fish and other water toys you can put in there, too. On Tuesday, Chad took a vacation day and after I worked at the store for two hours in the morning, we went to the Puyalup Fair! Justin is finally old enough to be pretty excited about going on rides. He's unfortunately not tall enough to go on anything but the kiddie rides, but he did have a ball on the giant slide, the ferris wheel, and the fun house. He and Evan went on a cute little kiddie car ride together, too. Wednesday the boys came with me to work from 11-1, Justin played a little on Starfall on the computer while I put Evan down for a nap. After J and I had a quick lunch, we hopped in the car and went to Justin's swimming lesson, picked up our twice-monthly box of organic produce in Issaquah, and came home and had dinner. Thursday was Trampoline and Tumbling, then we hosted Moms Group over here through dinner until it was bathtime. Friday we went to Lake Wilderness for a couple hours and the boys played on the awesome play structures and then we walked around the lake looking for ducks and other interesting things. After Evan was down for his nap, Justin and I looked up the first state in his state book which I made for him - Alabama. We found it on the US Map, Justin colored it in, and we looked online for interesting things or features of Alabama. I printed out the Alabama state flag and bird and Justin cut them out and glued them into his book. We worked more on the vitamin & mineral poster, too - we're nearly half done. I took out the Get Ready for the Code and "Get Set for the Code phonics/writing booklets which we'd gone through a little bit last Spring to see if Justin still enjoyed them and/or remembered any of it. He blew through the whole first book and part of the second one in less than an hour, and then he was tired of sitting. The books introduce different consonant sounds one at a time and each sound/letter has several pages of activities to reinforce the sound - circle the pictures which begin with the same sound as the picture at the top, circle the letter which begins this picture, trace this letter like this and then write three more of them, etc. Justin clearly grasps which letters go with which consonant sounds, but he doesn't really relish writing letters more than once. The books focus on writing small letters rather than capitals, and since Justin is accustomed to capitals he'd prefer to write exclusively with them, so that's something we'll work on. Justin had asked about vitamins a couple weeks back and so we're studying a little bit of nutrition. He sat with me and I Googled info on the role vitamins play in nutrition, which are the essential vitamins, and from which foods we get them. I realized that a discussion of vitamins also needs to include minerals, so in addition to the vitamins (13 of them) I picked 4 minerals to learn about. 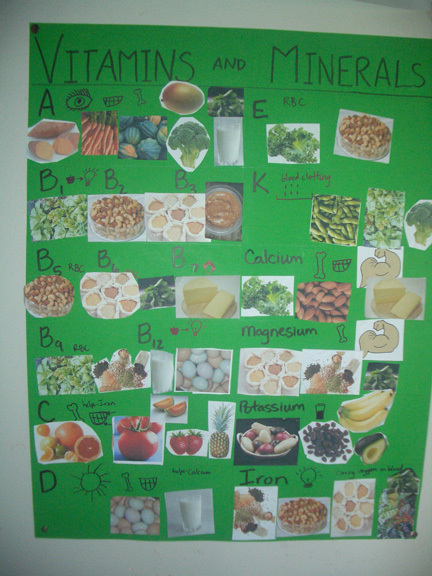 We got some posterboard and I made a little chart with a space for each vitamin or mineral. I read back the notes I had taken on the functions of each one and drew a little picture or representation of their functions on each space, printed out a bunch of food pictures, and after a long paper cutting session we started pasting the foods in the sections where the nutrients that food provides is listed. We're about 1/4 through the pasting process but it already looks way cool! I'll post a pic here when it is done. We've been reading a lot of books, of course. Justin (and Evan) both grabbed a handful of random books from the kiddo section and I also reserved a few seasonal books I'd heard about. We found that one of the books he'd grabbed at the library (Mike Mulligan and His Steam Shovel) was one I remembered reading as a child, and then on the back of the book it listed the author's other books and one of her other books is one we have called Katy and the Big Snow which Justin LOVES and which his Daddy also enjoyed as a child! (Yay for Virginia Lee Burton!) Justin really likes A Bad Case of Stripes by David Shannon. The story is about a girl who becomes covered in stripes as a result of caring too much about what other people think of her. I think Justin mainly enjoys the beautiful and funny illustrations, but I like to think that subconsciously he's learning that it is okay to be different. ;) We also got The Lorax from Dr. Seuss which is the big environmental lesson. I don't think he's getting "the message" but he's always loved the meter of Seuss' writing (and so do I!) so it's a hit. We got a book called Max's Words which is about a little boy who decides to collect words rather than the stamps or coins like his brothers. He clips out words from magazines and newspapers and has piles and piles of them. He realizes he can arrange his collection into stories which is exciting for him and his brothers. Justin likes this book a lot and I may suggest that we make HIM a word collection and see if he has fun with that. I got a couple of Fall themed books, one of which was more in depth than I realized in its description of the reason for and the process of leaves changing color, but thankfully the other leaves book I got has it a bit more simplistic so they are a good pair. We listened to Reggae and Calypso music over the past two weeks - I decided to just get CDs from the library of different genres of music and just play them for Justin. We looked up Jamaica on the world map and also Trinidad (home of Calypso). He didn't seem very interested in Reggae, but since Calypso is generally a little "faster" it is more fun to dance to, so I think he liked it better... at least the more modern Calypso; the recording from the 50s wasn't very interesting to him. Swimming lessons on Wednesdays started up again after a few weeks off for pool cleaning, and Justin was thrilled about that! His teacher right now is my good friend Cori who owns the swim school. Justin had another teacher over the summer but the swim school doesn't keep a full staff during the other seasons, so he gets to swim with someone he knows and loves. There are two girls in his class, too, both are also 5. Class is only 30 minutes and I know he'd be really happy to play in the water more, so we'll have to find a way to make that happen. I don't think I can play in the water with both he and Evan, so I'm not sure what to do. Friday we tried something new. Letterboxing! Letterboxing is a little like a treasure hunt. You find a location where someone has hidden a letterbox (on that website or a couple others) and you follow thier clues until you find it. They are hidden in public places like parks. When you find the letterbox (typically a Tupperware-like container) you open it and you'll find a log book and a rubber stamp inside. You also carry your own log book and rubber stamp with you on the hunt. You place your personal stamp in their log book and write in your name, the date, and where you're from, and you stamp their stamp in your book and the day you found their letterbox. Then you carefully re-hide the box and you're done! We found two of them here in Maple Valley which were pretty close to one another. It was cool looking through the log books to see who had been there before us, and I know that it will be cool for Justin as his own log book grows to look back at all the stamps and remember where we've gone. September 4, 2007 - I meant to work more on this journal over the Summer because we really did a LOT of cool stuff and Justin is getting so interested in so many things and asking tons of questions...but I didn't get around to putting it here. The extremely condensed version is that both Justin and Evan enjoyed watching the garden grow all Summer and enjoyed the harvest as well. Justin had swimming lessons and LOVES it so we're going to continue through the Fall as long as he wants to. He is really READING now - real simple books and also sounding out a lot of words and guessing at words based on context - and I can hardly contain my excitement. :) Just last week he counted backwards from 100 while riding in the car - not sure what prompted it, but I had NO idea he could do that. He's gotten really good at 100-piece puzzles and is interested in telling time and the value of coins, so we'll definitely work more on those things really soon. Soooo...Mondays we'll do Writing and Math or Science, Tuesdays we'll do Music, Wednesdays we'll do Writing and Art, Thursdays Math or Science, Fridays Geography/History. Every day I'll read to him and/or have him read to me, and every day he can always do some sort of crafty/arty thing since we have plenty of materials, but on "Art Day" I will have a planned art project (which I got from one of many books and websites; I compiled a list of my favorites so I wouldn't have to just thumb through books every time), and we tend to listen to or dance to or play music every day as it is but on "Music Day" I'll play CDs from the library of different genres (I made a list of them and picked one genre for every two week period of the next "school year") and I got a "How to play the recorder" book from Usborne so we'll work on doing something for real with the recorder aside from frantically blowing. ;) For science I have a great book called Mudpies to Magnets and a book I found at a teacher's garage sale plus some kiddo gardening books including Gardening Wizardry for Kids and again I made a list of the experiments/projects I think he'd like to do and I'll have him do some observation and journaling. For Phonics/Reading/Writing I have the early Explode the Code books... Get Ready, Get Set, etc. which he liked last Spring so I'll pull out again. I found him a penpal on a prenting website I love so he'll write letters to him, he'll write letters to his cousin and grandparents and a weekly one to his daddy who LOVES finding notes when he gets home from work after Justin's bedtime! I have a couple kids' Geography books which I need to go through and see what looks good; meanwhile he's asked about the different US States because we've had a World and US map hanging up for a year now, so I made him a little "states book" with two pages for each state and he'll color the US map where the particular state is located and we'll look up interesting things about each of the states and add them to the book; maybe I'll print out pictures and have him cut them and paste them in there, too. I have some Math workbooks (from Target and the like) and a Teacher's Guide from Modern Curriculum Press for math, but I don't yet know what specifically we'll do... I have Cuisinaire Rods (these are popular math manipulatives used in many schools) which I haven't taken out of the box yet, we have been playing with pattern blocks for over a year so we'll do more of that, he loves puzzles, I have realistic play money for him, and I'm making him a clock face for learning to tell time. I also have about a dozen miscellaneous K workbooks that he actually enjoys doing; I bought the first of them for a long car trip and grabbed a couple more for no particular reason, and then Granddad John bought a few more of them, so I guess we'll pull those out whenever he wants or if we're bored. He's doing swimming lessons weekly and possibly a tumbling/trampoline class at the gymnastics place down the road which we're checking out next week. Justin (and Evan!) will also be continuing "Life Skills Education" and will be helping with cooking dinner and cleaning around the house, and whatever I can find for him to do at the store where I work 11-1 on Tuesdays and Wednesdays. On Thursdays we'll be going to the same Moms' Group we've been attending for five years, though now it will often be a stay-for-dinner thing as the other kiddos are doing morning Kindergarten at public school so we'll be getting a later than normal start to Group. The homeschool coop based in Federal Way which we've had the opportunity to hang out with several times this past Spring and Summer will be having a beginners Spanish class starting in a few months so hopefully we can fit that in as well. A couple of friends of mine here in MV are also homeschooling their same-aged boys and we're all trying to coordinate a regular weekly outing/playdate. Apologies for the rambling and run-on sentences -- it is late and I just needed to get it all written out somewhere. Stay tuned for regular updates! May 21, 2007 - Well I need to start this thing somewhere, so here I go. I wanted to make note that Justin was reading "Hop on Pop" aloud to Evan last Thursday. I am pretty sure he's READING most of it, though I know some of it is memorization since it is a short book, but he's definitely working out words as he goes! I'm soooo excited for him - reading is so amazing and I know his world will open up in a whole new way once he gets it. Today Justin did a few pages in a Phonics workbook. The pages were on rhyming families of words, like -ing, -at, -ake, etc. It is a great way of approaching words, it really seemed to make sense to him and he was reading new words as a result of introducing that concept. We planted some veggies in the garden and Justin strung some beads and made me a necklace. We did a lot of dancing today - Red Hot Chili Peppers, and Everclear (which was new to the boys).